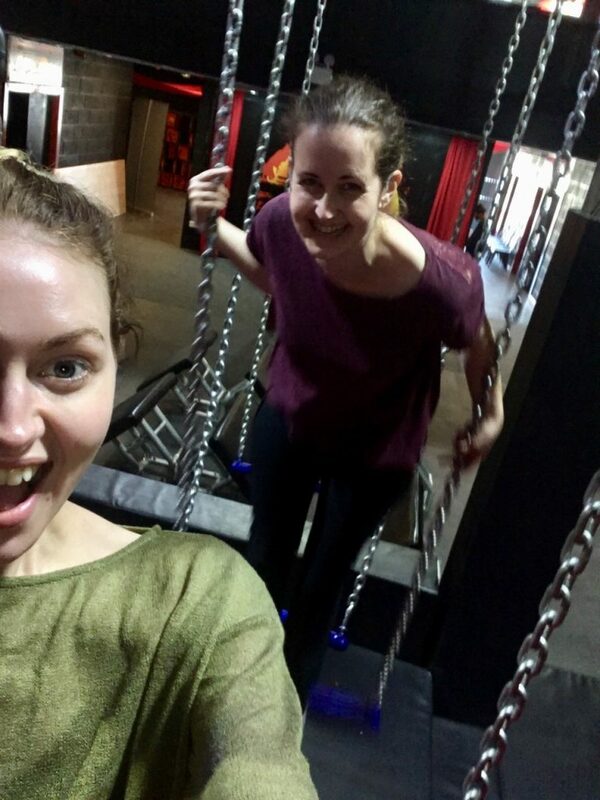 A couple of weeks ago, my friend and I went to Ninja Adventure in Preston. I’m not really sure why we decided to go as we aren’t particularly sporty people but when invited* it’s rude to decline and it’s a great opportunity to try something new. We went axe throwing a couple of months ago! 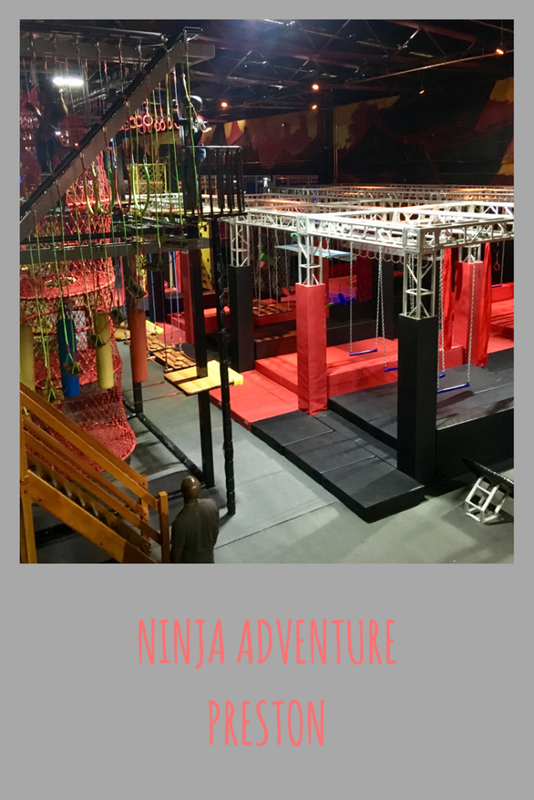 Ninja Adventure has only recently opened and is an adventure place for both children and adults. 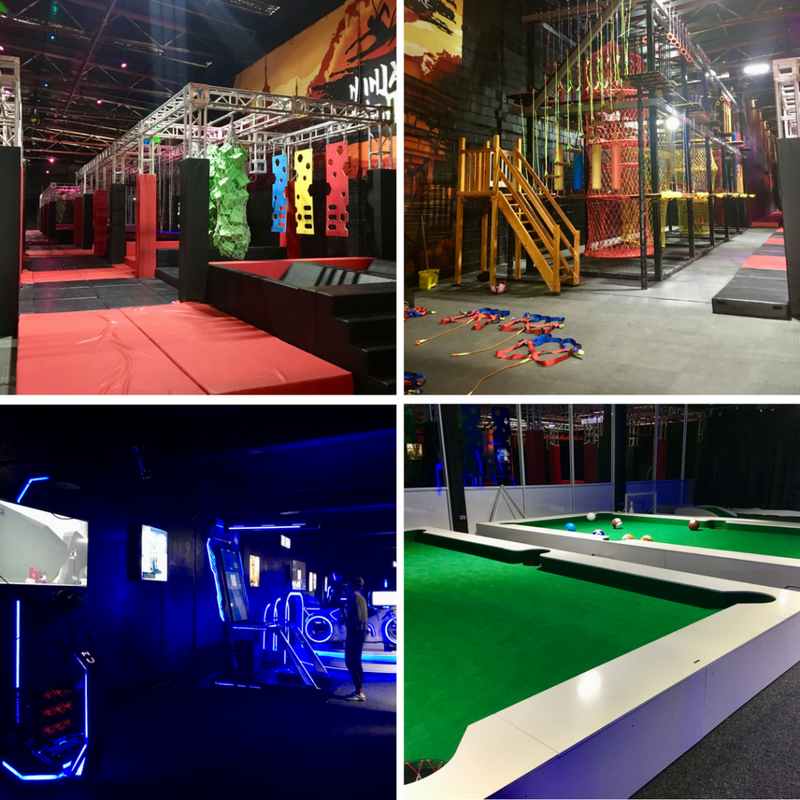 It consists of 2 adult ninja courses, 2 children’s courses (age 4+), 1 harnessed ropes course and a virtual reality arcade. Once you have signed the waiver forms at reception, you can pop your belongings in a locker (take a £1 coin) and then you are taken into the safety briefing room where one of the members of staff chats to you and you watch a short video. From there, you are free to go on the courses. We went onto the rope course first where one of the staff members supports you to put on a harness and gets you a correct helmet to wear. 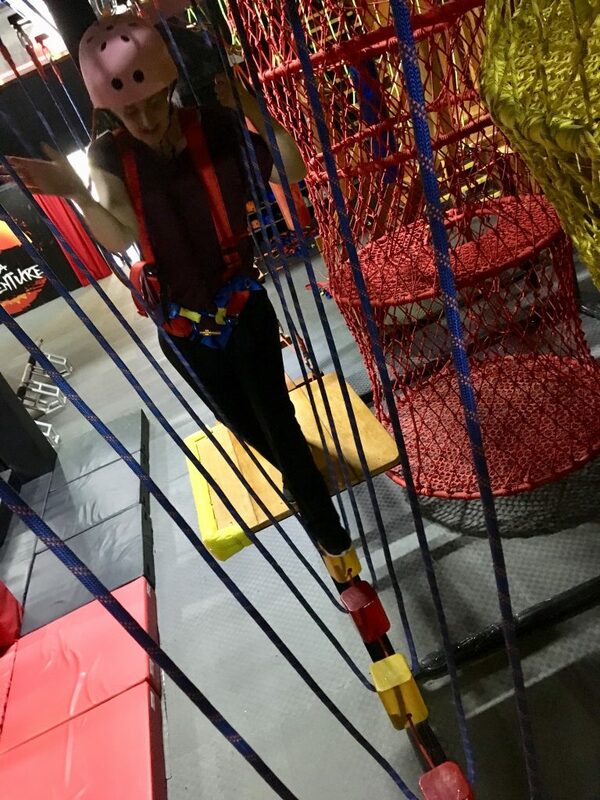 They attach you to the above safety rope and then you can climb the rope and obstacles in whichever direction you want to. You can also turn back at any point if you don’t feel up to completing it. It is all done independently at your own pace. I think this is the course I enjoyed the most and it was fun, even though I was slightly nervous! 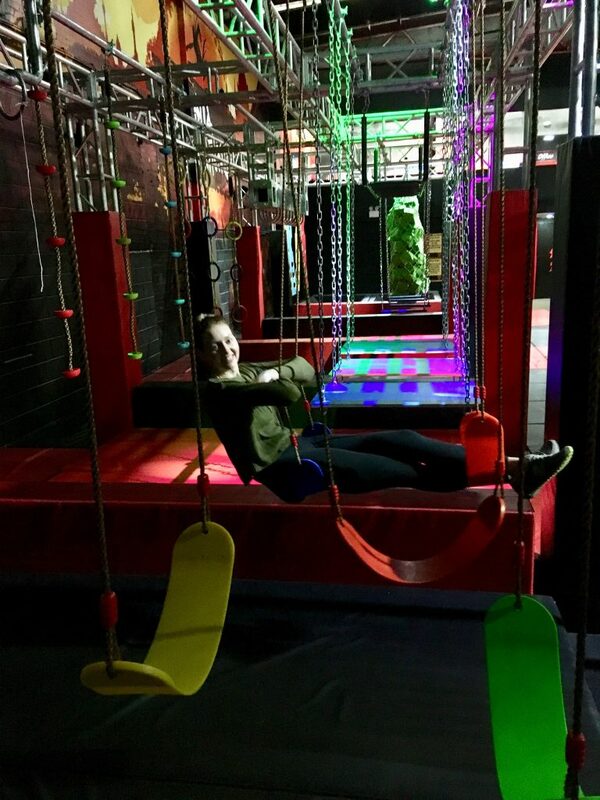 We also went onto the ninja courses which were similar to like you would see on Ninja Warrior on TV (without the water too fall into and a smaller wall to run up). These were quite comical for us two with very little arm strength haha. There were a couple of children there with their Dad who were zooming through! 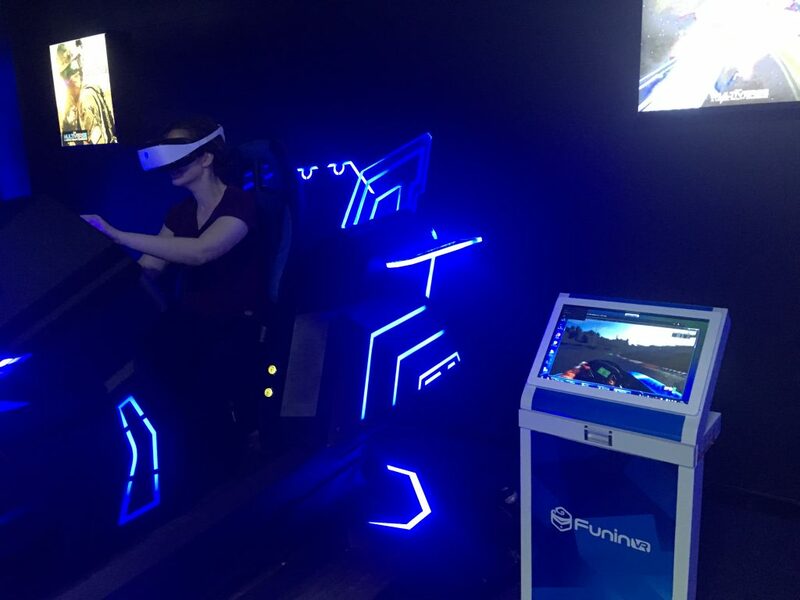 The virtual arcade is full of virtual games from racing cars and skiing to flying through the sky battling against enemies. These are fab and it’s amazing how much you feel like you are there in the game! There was one that I really didn’t like though which was being on a fair ground type ride that ends when you crash on the ground. I didn’t really see the need in that and felt it was a little insensitive considering the theme park ride crashes that have happened in the past few years in the UK. I would have much preferred it to be a fun and exhilarating ride that you would expect from the fair ground or theme park. I do think Ninja Adventure is a great place to visit and can’t wait to take Lucas in a couple of years. I love that you can have fun and exercise no matter what the weather. There is also a cafe upstairs for a drink or something to eat once you have finished. In the cafe there is a small soft play area if you do take any under 4’s that could play in there for free whilst the older ones are downstairs on the courses. 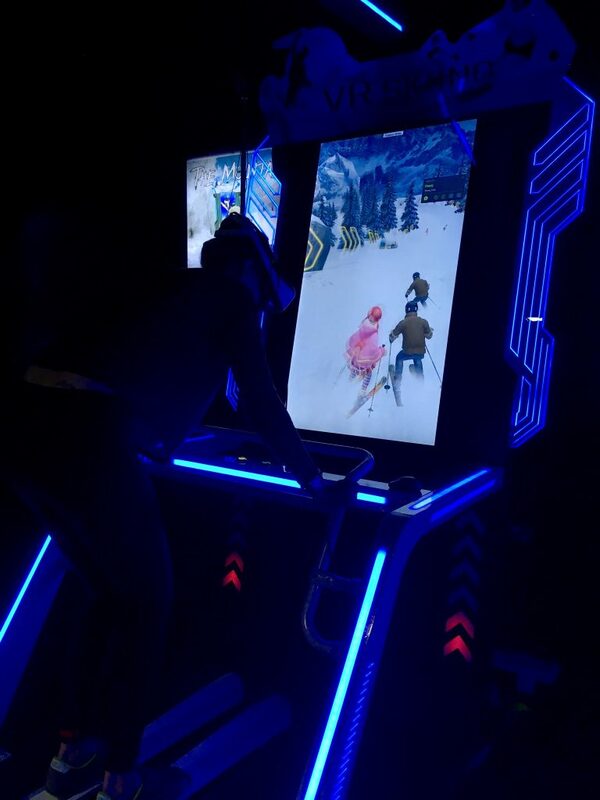 Whoa the virtual arcade looks awesome! What was your favourite game? Oh wow! That looks class! I love ninja warrior UK too, it’s the best! Is the wall as big or a mini version? oh my gosh how much fun does this look! I could totally have enjoyed doing this way back when! I’d probably have loved to take out flip out on after too lol. Oh this looks so much fun. My husband would love this! This looks amazing, my kids would absolutely love it I think, it looks like there is so much to do! My idea of hell but the kids would love it. The things you end up doing as a parent eh? this sounds amazing! I think I would have a blast here, so I can’t imagine how much fun kiddos would have! Ooh I didn’t know this even existed! We are local as you know and I had no idea this had opened, will have to check it out! This certainly sounds like fun , you can be a big kid and just enjoy it. Glad there is no water to fall into and get wet.